Harlem Lovebirds: Just in Time for Our Trip! Just in Time for Our Trip! 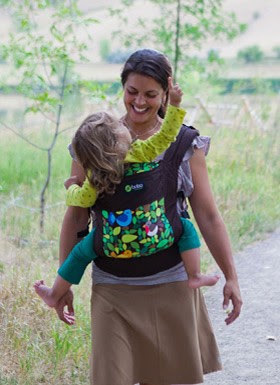 I've been entering a ton of giveaways lately and recently told Mr. Love Bird that #1: I wanted a new carrier for Nia since she's outgrown her Moby and #2 that I was bound to win something! Sure enough I received the following good news from Boba this week . . .
BTW Mr Love Bird kept telling me I should just wrap Nia in a bedsheet and wear her on my back O_o, but I'm so glad I was blessed with a much more stylish option! Have any of my readers used the Boba? How do you like it?